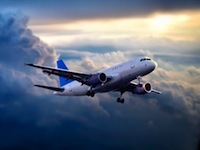 The emergence of a number of flight comparison search websites, such as Skyscanner, in recent times has made flight booking more convenient and transparent than it has ever been. For Hakuba and Myoko, the nearest airport is Tokyo Narita or Tokyo Haneda. 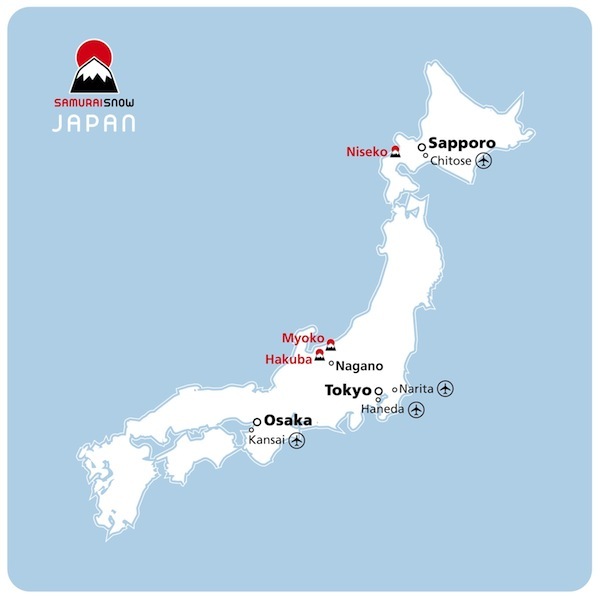 Kansai International is another option if you would like to see Kyoto and / or Osaka. For Niseko and Rusutsu the nearest airport is Sapporo New Chitose. Tokyo Narita handles the majority of long haul international flights coming into Japan. From here there are a variety of transfer options that we can book for you to get you to your resort. Please check out the Getting There page for your chosen resort. From the UK, fly from London Heathrow with British Airways or Virgin Atlantic. From Australia, fly from Sydney with Qantas or Japan Airlines, from Gold Coast with Qantas or Jetstar, from Cairns with Jetstar. From Hong Kong, fly with Cathay Pacific, Delta, United, Hong Kong Airlines, Japan Airlines or ANA. From Singapore, fly with Singapore Airlines, Delta, United, Japan Airlines or ANA. Kansai International serves the Kansai area of Japan. This area includes popular destinations Kyoto, Osaka, Nara and Kobe. From Australia, fly from Darwin, Gold Coast or Cairns with Jetstar. From Hong Kong, fly with Cathay Pacific, Japan Airlines, ANA or Peach. From Singapore, fly with Singapore Airlines, ANA or Jetstar. Sapporo's New Chitose Airport is Hokkaido's major airport and is the nearest airport to Niseko. There are two airports in Tokyo: Narita and Haneda. It is possible to fly via either of them. Stopping over for a night or two in Tokyo is a popular option to take in the spectacular sights of Tokyo. Most international flights fly in and out of Tokyo Narita and most domestic flights fly in and out out of Tokyo Haneda. There is a bus service if you need to transfer between them. It is also possible to fly via Kansai International Airport or via Seoul Incheon Airport. From the UK, fly from London Heathrow with British Airways, Virgin Atlantic, Japan Airlines or ANA. From Australia, fly from Sydney with Qantas or Japan Airlines, from Gold Coast or Cairns with Jetstar. From Hong Kong, fly direct to Sapporo Chitose with Cathay Pacific or Japan Airlines. From Singapore, fly with Japan Airlines, ANA or Korean Air. If you are heading to Niseko but would like to spend some time in Honshu (Japan's main island) before flying up to Hokkaido (Japan's North island) in Tokyo, Kyoto or Osaka, in addition to Japan Airlines and ANA, there are a number of Low Cost Carrier airlines that fly to Sapporo New Chitose. Flight time is 1hr45 between Tokyo and New Chitose. Please bear in mind that the Japanese carriers do not release flights until 2-4 months in advance. So if you can't find any reasonably priced internal flights further out, don't worry. The baggage allowance on most domestic flights in Japan is lower than elsewhere in the world. We recommend taking advantage of Japan reliable, fast & inexpensive domestic courier service called Takkyubin. There are Takkyubin counters at Tokyo Narita Airport and Kansai Internation Airport. They will deliver to your resort accommodation, saving you from lugging those oversized ski bags around with you. Get in Touch if you would like to know more.